Just a few short days ago, we published a complete bundle with all our DM’s resources for Waterdeep: Dragon Heist. The support has been amazing, and the bundle is already a Copper Best Seller on the DM’s Guild (“a surprise, to be sure, but a welcome one!”). To celebrate, I’ve scrambled to make a map of Encounter 8: Courthouse from Chapter 4: Dragon Season and add it to the bundle. As a big thank you for also following our Dungeons and Dragons content here on valeurrpg.com, it wouldn’t feel right not to also post it here. 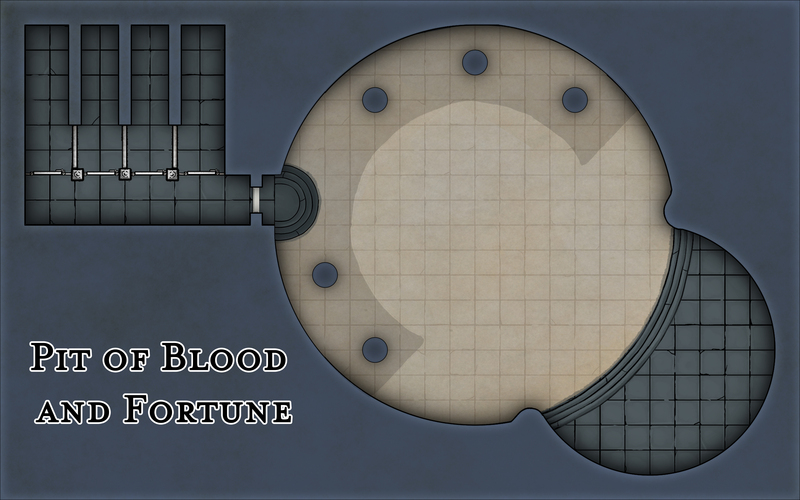 So here’s another free encounter map for Waterdeep: Dragon Heist. 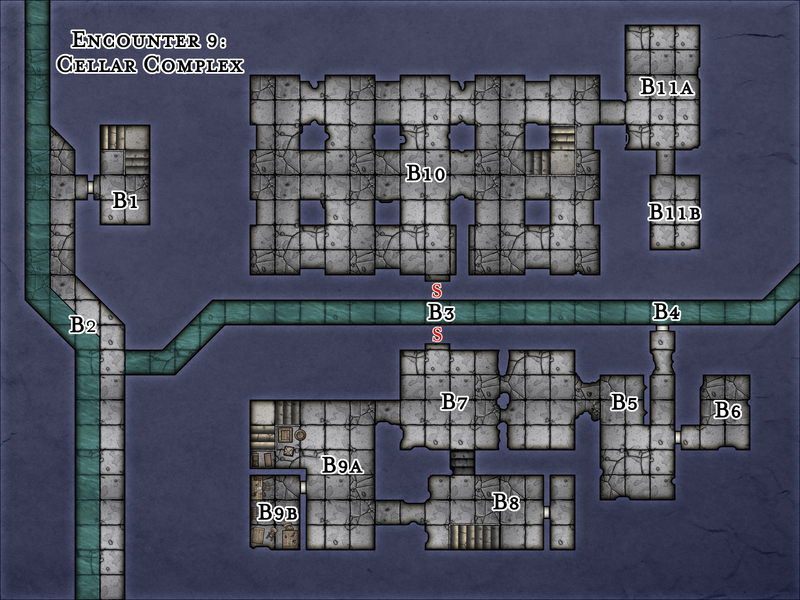 This encounter map isn’t from the encounter chain in Chapter 4: Dragon Season of Waterdeep: Dragon Heist, but is instead a map showing Waterdeep’s Dock Ward (or another ward, if you crop off the water). Perfect for running one of those urban encounters you never plan for, but that always happen anyway, when your players insult a local crime lord, resist arrest, or whatever they did to start a fight in the street this time. If you’re looking for more city encounter maps or street encounter maps like this urban encounter map, check out our newest products on the Zhentarim faction missions. In our product for the first Zhentarim faction mission, ‘Hatred Surfacing’, you’ll find a night version of this map. In our product for the second mission, ‘Deadly Delivery’, you’ll find a map for the Trades’ Ward, and finally you’ll get both the Night Dock Ward Encounter Map and a map showing the Shard Shunners’ base in the sewers in our third product, ‘Shard Shunners’, that details the third Zhentarim faction mission. Anyway, enjoy – and let us know in the comments below, if there’s something you’d like us to look at next! Time has come for another map for Waterdeep: Dragon Heist. This time it’s the map for Encounter 10 of Chapter 4: Dragon Season: Converted Windmill. 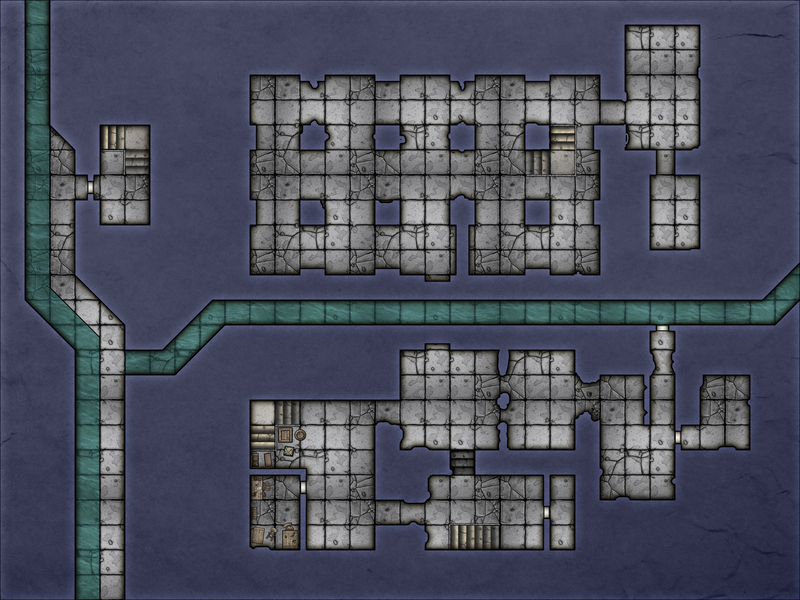 Another encounter map for Chapter 4 of Waterdeep: Dragon Heist. This time it’s Encounter 9: Cellar Complex. Once again made using Mike Schley’s Schleyscapes.